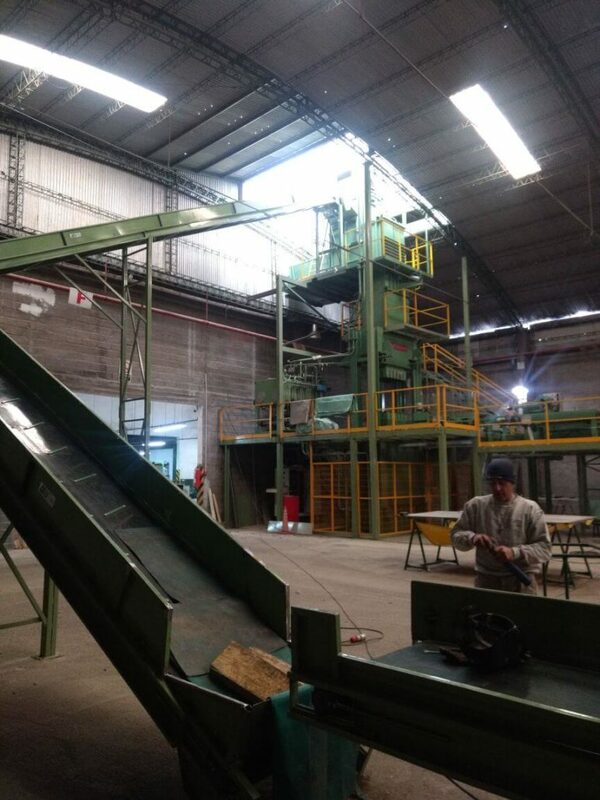 At Fuhrmann, we have recently invested in a new wool press at our mill and warehouse in Trelew. 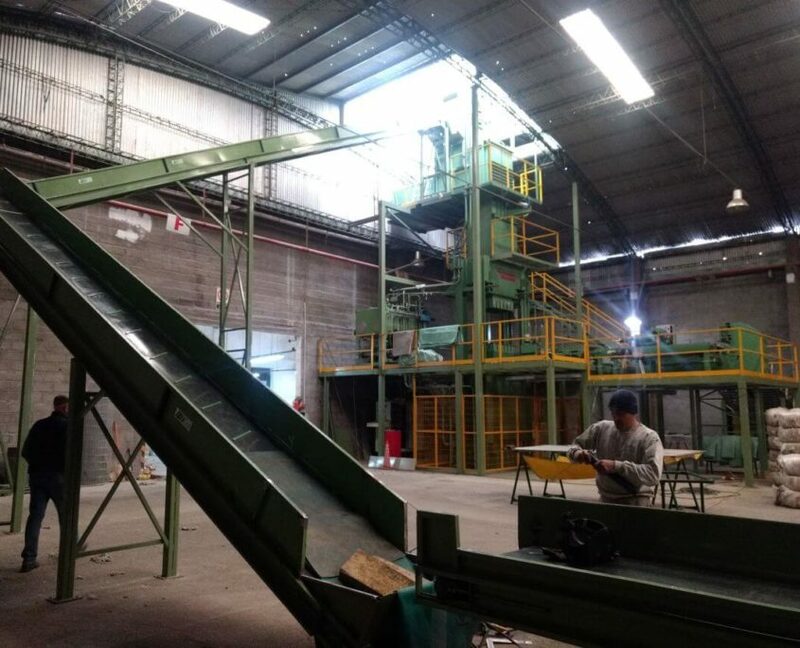 What seems rather a small addition to our warehouse operation actually improved Fuhrmann’s storage capacity, productivity, quality and product footprint. 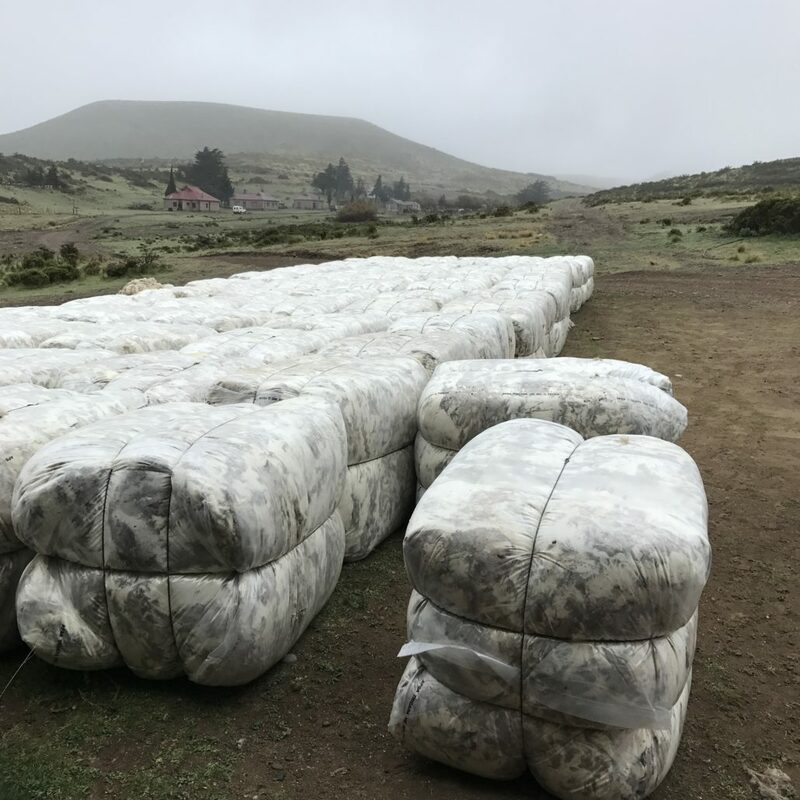 As a background, around 55-60.000 bales filled with greasy wool make their way from all over Patagonia to our scouring and combing mill in Trelew every year. Although the shearing season in Patagonia runs from August to March, the majority of wool bales come in the months of November to January. 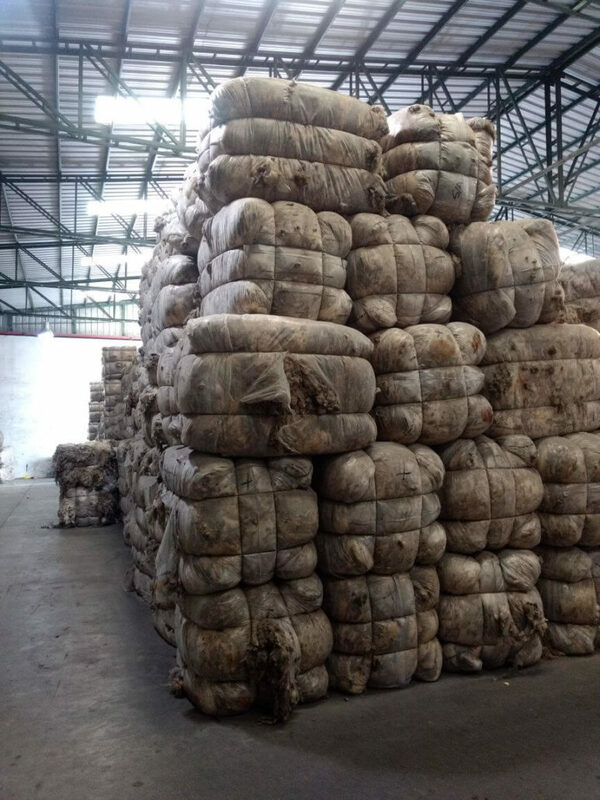 Bales filled with greasy wool are relatively big and light and therefore not so easy to pile up. For safety reasons, we can only store up to 5 greasy wool bales on top of each other. With a finite storage space in our mill, this has been a logistical challenge for the Fuhrmann team. 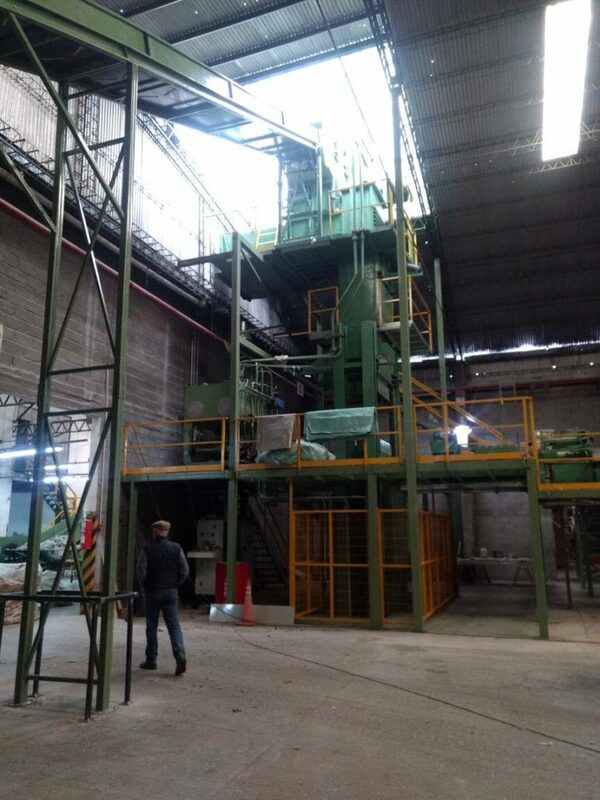 The new wool press allows us to press 2 – 3 number of bales of around 180 kg per bale into one heavy compact bale of 440 kg of wool. As these compact bales are heavier, we can store up to 7 bales on top of each other. The heavier bales are also smaller in size and therefore need less storage space. 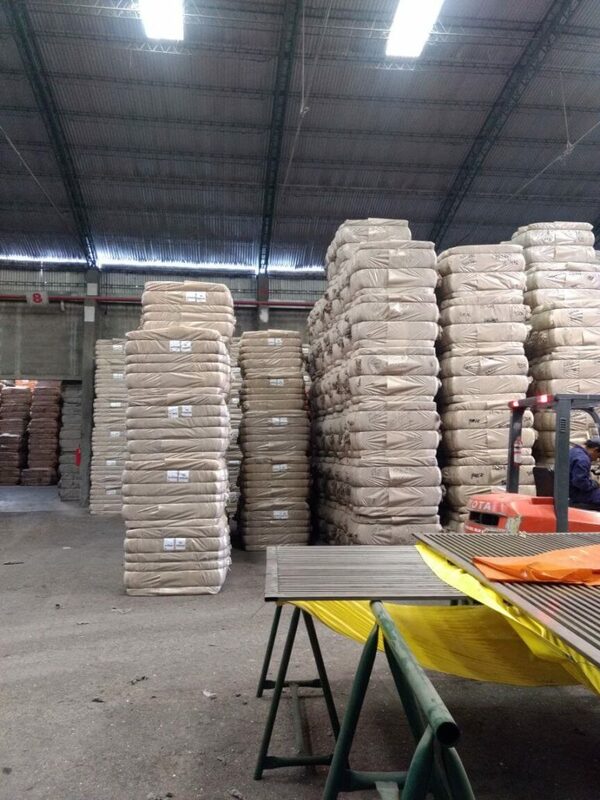 Once we have a lower number of wool bales to store, manage and transport, our processes become more efficient which leads to improved productivity along our part of the supply chain. 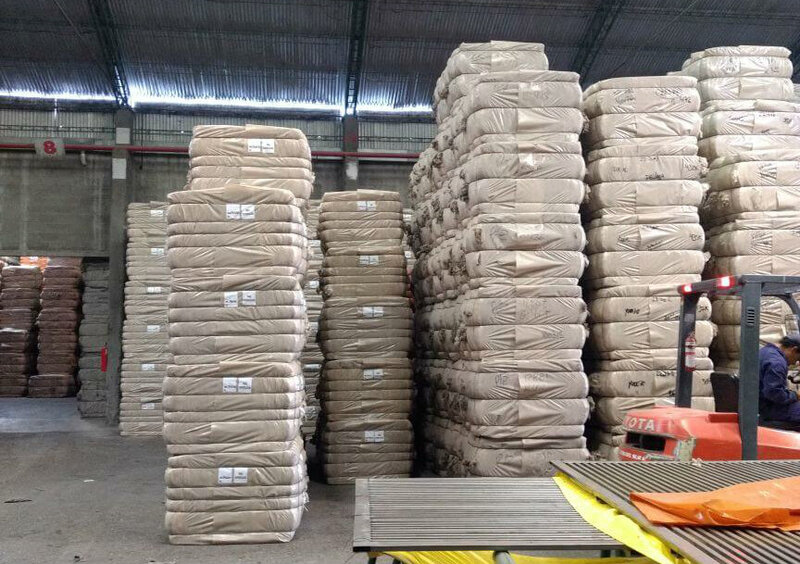 Overall we can now store between 6 to 7 mio kg of wool in our warehouse compared to only 3 mio kg before. This means that we can also react more quickly to short-term orders. There was another side effect the wool press brought us. The wool press has a positive effect on the quality of our wool as greasy wool bales no longer need to be stored outside in the open. This means that the wool no longer gets unnecessarily exposed to various weather conditions and therefore its high quality remains intact. Another very important improvement we noticed is that having fewer bales (almost half) means we have much less forklift work and therefore lower gas oil consumption. We are always challenging ourselves to improve the way we do things, be it small or big changes. If you have any ideas how we can improve things further, just let us know. We would love to hear your ideas.